Spring is a wonderful time for a wedding. We first worked with Stuart and Sarah to help them with Sarah's engagement ring. They selected a Princess cut diamond with Excellent Cut and Polish Grades and we set it in our Classic Princess Nara setting. Inspired by the Gaelic meaning for Happy, Nara features four discreet claws which secure and elevate the stunning Princess Cut Diamond proud of the finger. If you love the cool clean lines of our Nara, we've come up with two very special recommendations just for you. Both feature Princess diamonds with carat weights around the 0.5ct mark. 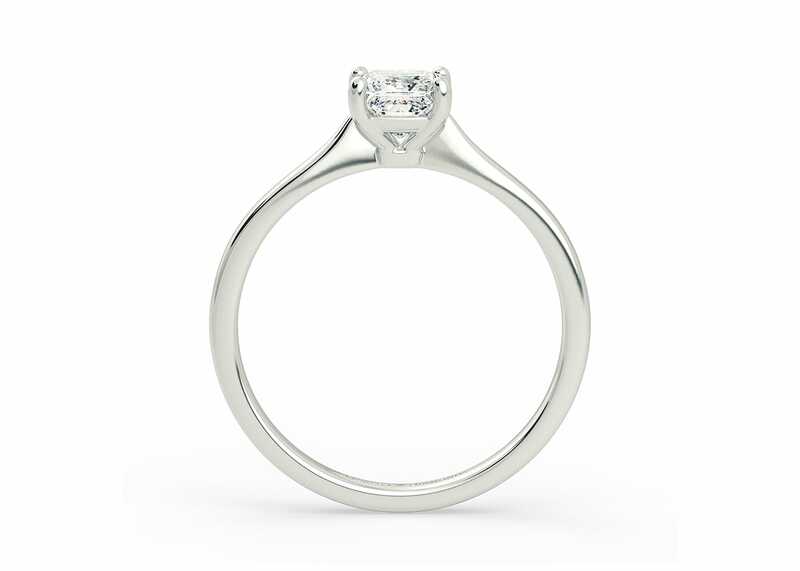 The first is set in a Platinum Nara and is a fabulous quality diamond. The second is set in 18k White Gold, and we've played with the diamonds attributes to find a sparkly diamond that looks amazing but is easier on your budget. Click the buttons to see how much money you could save! We are very grateful that Stuart and Sarah shared a wonderful spring wedding at the gorgeous Missenden Abbey.